THE SURPRISE SEQUEL TO NETFLIX FEATURE FILM TO ALL THE BOYSI'VE LOVED BEFORE Lara Jean's letter-writing days aren't over in this surprise follow-up to the New York Times bestselling To All the Boys I've Loved Before and P.S. I Still Love You. 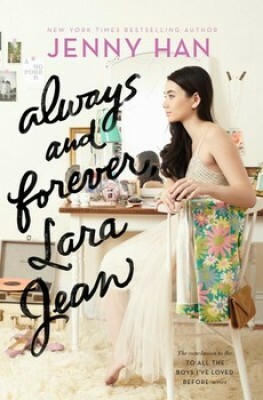 Lara Jean is having the best senior year a girl could ever hope for. She is head over heels in love with her boyfriend, Peter; her dad's finally getting remarried to their next door neighbor, Ms. Rothschild; and Margot's coming home for the summer just in time for the wedding. But change is looming on the horizon. And while Lara Jean is having fun and keeping busy helping plan her father's wedding, she can't ignore the big life decisions she has to make. Most pressingly, where she wants to go to college and what that means for her relationship with Peter. She watched her sister Margot go through these growing pains. Now Lara Jean's the one who'll be graduating high school and leaving for college and leaving her family-and possibly the boy she loves-behind. When your heart and your head are saying two different things, which one should you listen to? I absolutely loved this trilogy I don't think it should of stopped there though because now it's left me wondering whether they stayed together throughout college or whether they went there separate ways.